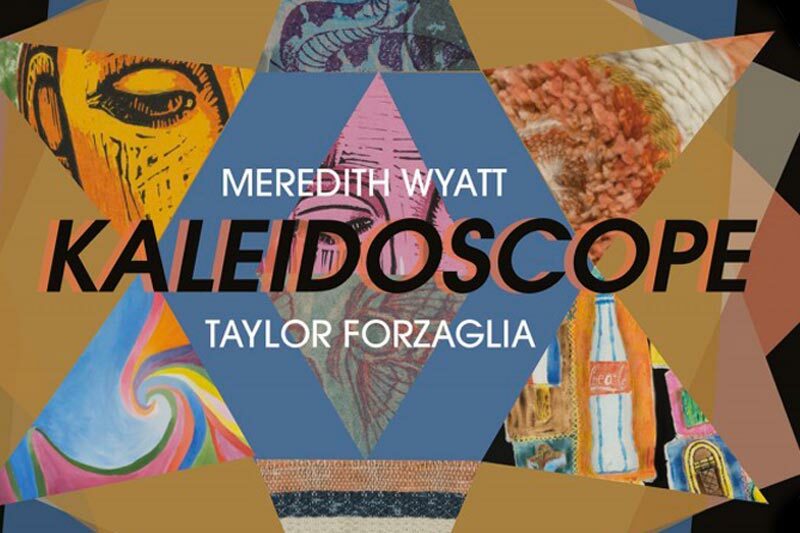 Taylor Forzaglia and Meredith Wyatt explore color and themes of memory and narrative in their senior exhibition, Kaleidoscope. This show is a culmination of their experiences at Meredith College that showcases their personal and artistic growth over the past four years. Through both representational and non-objective works each artist tells stories through evocative colors and imagery. Both Art Education majors, Forzaglia and Wyatt value the importance of the process that goes into creating art through printmaking, weaving, fibers, sculpture, and more. An interactive weaving space will be a part of the exhibition to engage the audience in process-oriented, collaborative art-making resulting in a community tapestry.